What Makes a Top Salesperson? The more you study and act on what makes a top salesperson, the more you will grow revenue. And here’s the pleasant surprise. It is far more science than gut reaction. learn the invaluable power of scientific assessment when selecting new hires. 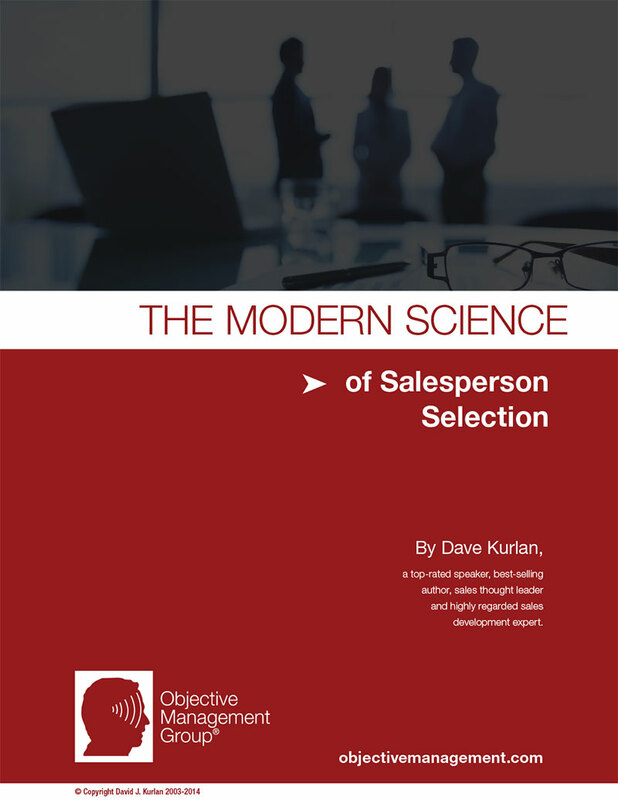 Brought to you by Dave Kurlan, sales thought leader and head of Objective Management Group, this document shares (in only 6 pages) the 60-year evolution of the science to assess and select top producers. OMG research strongly suggests that while 74 percent of all salespeople are average to weak, there’s a set of traits you can use to accurately pinpoint the 26 percent who will succeed. Enjoy. It is an enlightening read. Fill out the information below and receive The Modern Science of Salesperson Selection directly to your inbox. Join 5,000+ subscribers and receive weekly insight from Bill MacDonald on sales strategy and performance.